Deepak Goyal from Bharatpur, B.Com Graduate. IND AS CONSOLIDATION PREPARATION OF FINAN.. INTERNAL CONTROL OVE..
are one of expert skill area's of Deepak Goyal . 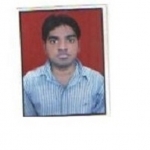 Deepak Goyal is working in Finance industry.